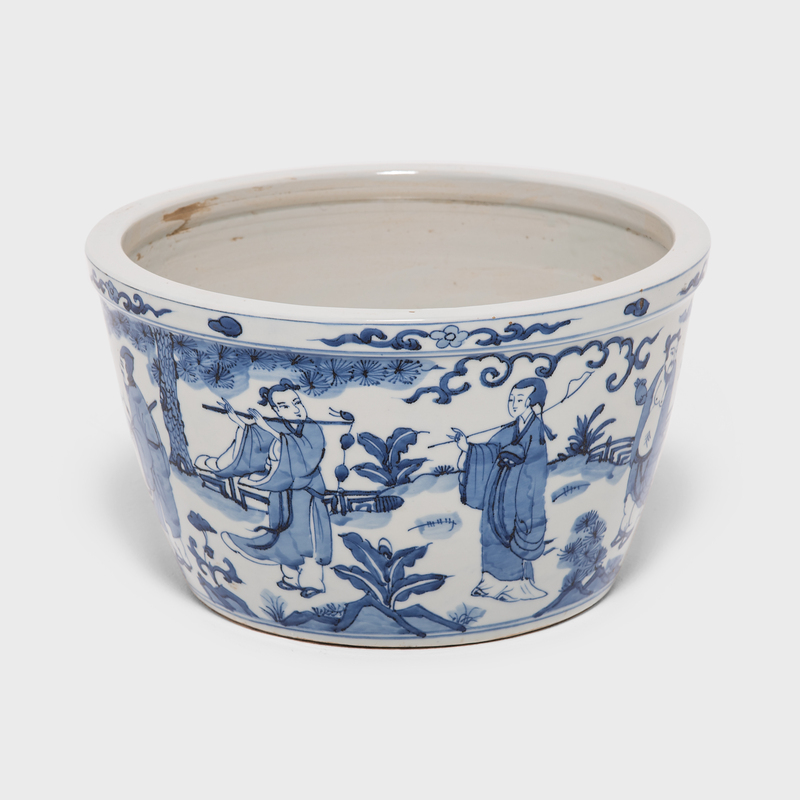 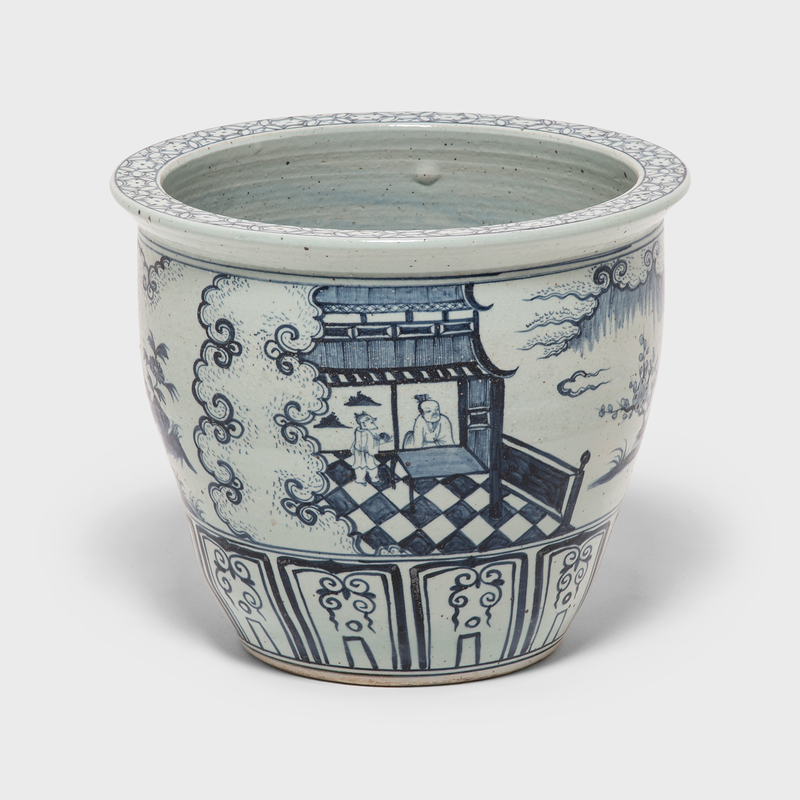 Emulating the look of classic blue-and-white Chinese porcelain, this contemporary porcelain brush pot would have been right at home on a scholar’s desk. 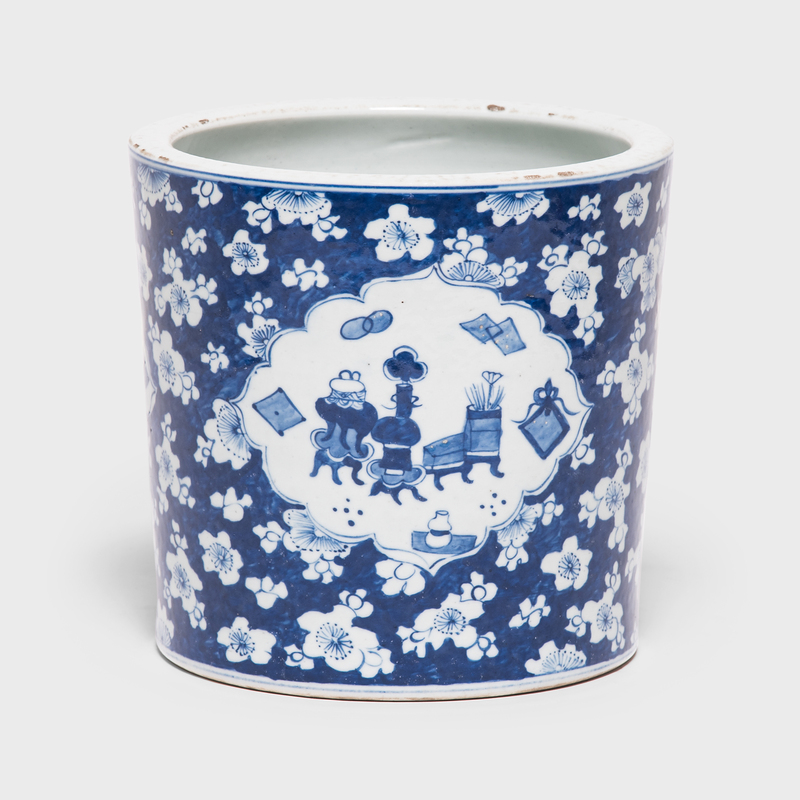 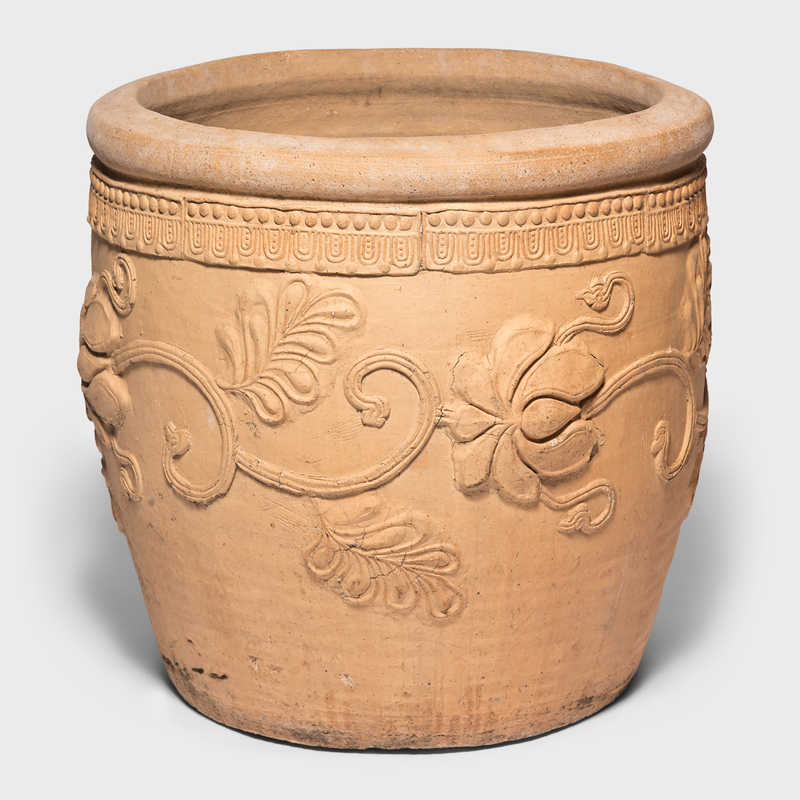 Beautifully decorated with an all-over floral pattern, the pot features cartouches filled with various Chinese symbols, such as peacock feathers for beauty, incense censers for protection, and chrysanthemum flowers for long life. 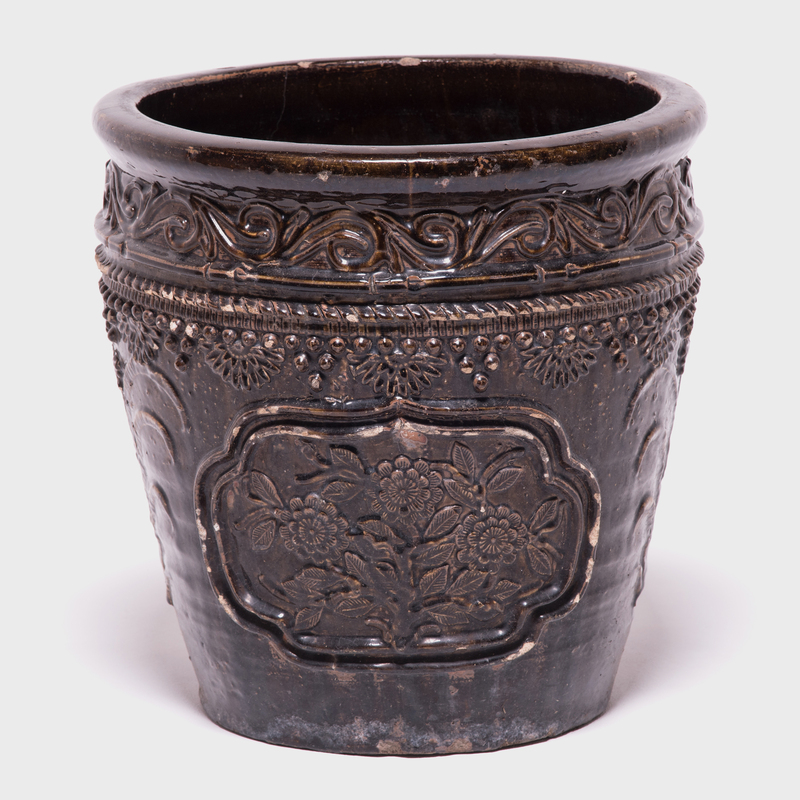 Once intended to hold the brushes, pens and other scholar’s calligraphy tools, this lovely pot takes pride of place on any surface filled with a bouquet or displayed on its own.